Summer has officially arrived and in order to beat the heat, filling up your wardrobes with pastels and different shades of white is a must. The trickiest part of summer clothing is pairing them up with the right type of footwear. Shoes have a good life and hence investing in the right pair is important. Black is always the safest choice but when it comes to this scorching heat, it’s a bad idea. To solve this dilemma, Skechers brings to you it’s newest collection - Skecher Street for men. A range designed specially to give you utmost comfort, without compromising with style. Each shoe comes with soft and padded collar lining which makes it so comfortable that you can wear it all day. Its vulcanized rubber bottom provides stability and gives you a better grip. And don’t worry about smelly feet as the perforated insole increases air movement and offers a cooling comfort which increases the breathability. 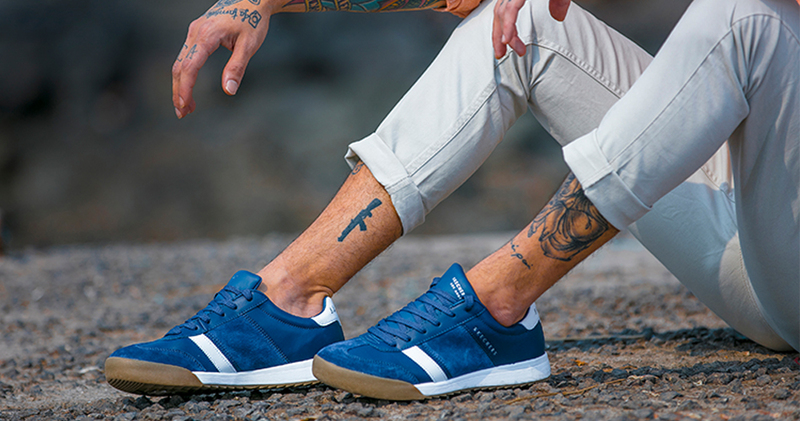 The Skecher Street is a versatile shoe that goes with every outfit. Pair it up with your summer casuals or completely formal clothes, it looks great with everything. So grab a pair of Skecher Street and add a little oomph to every outfit.